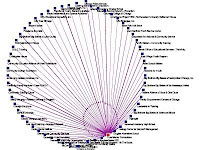 Using MapAList I've been able to upload data from an Excel spreadsheet to show participation in the November 1998 Tutor/Mentor Leadership and Networking Conference. 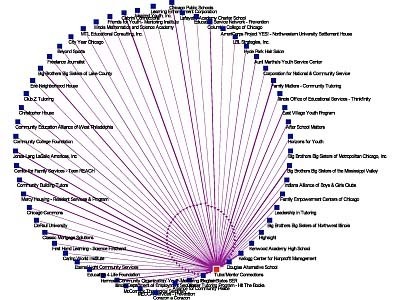 You can interact with the map, click on icons to see what organizations were participating, and from this information get a sense of how effective the Tutor/Mentor Connection was in bringing people from different parts of the Chicago region together for this event. In the next few week's I'll post a few more maps from 1997-2002 and from 2007-2012 showing changes in participation due to decrease in financial support for Tutor/Mentor Connection over the past 12 years. You can also find these maps on the Conference Map page of the Tutor/Mentor Conference web site. The goal is to attract sponsors, partners and investors so we can rebuild participation to the level of the late 1990s, then expand it to reach even more people. If you'd like to do map analysis using this data, please contact me. There's lots of questions to ask, such as why are so few people from business, philanthropy, universities, faith groups, etc. involved? This is a new mapping application, called MapAList, that I've added to the COOL TOOLS section of the Tutor/Mentor Library. I've been attempting to map participation in Tutor/Mentor Leadership and Networking Conferences held since 1994 to demonstrate the impact I've had in bringing programs together over a period of many years. 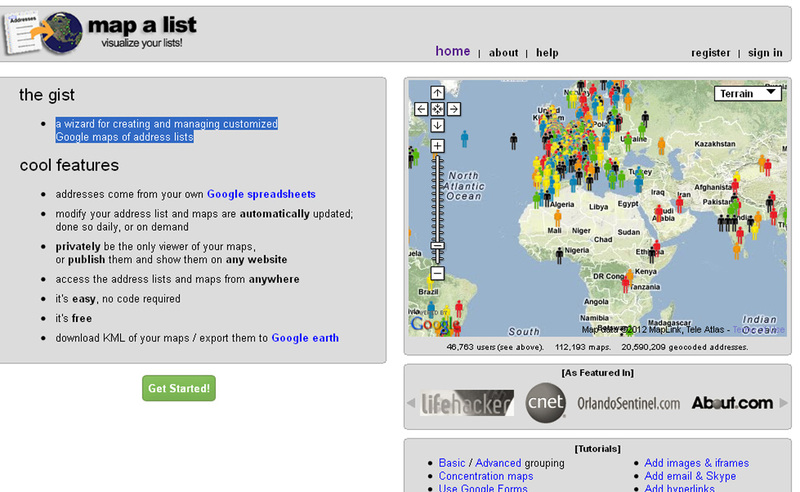 This mapping can be done via a Social Network Analysis process or from a GIS mapping process (or both). I've never had consistent talent to do this work, and the tools have been pretty complex. Now that the technology is more available, I still need volunteers, interns and/or business partners to create these maps and communicate their meaning. Contact me if you'd like to become involved in this project. 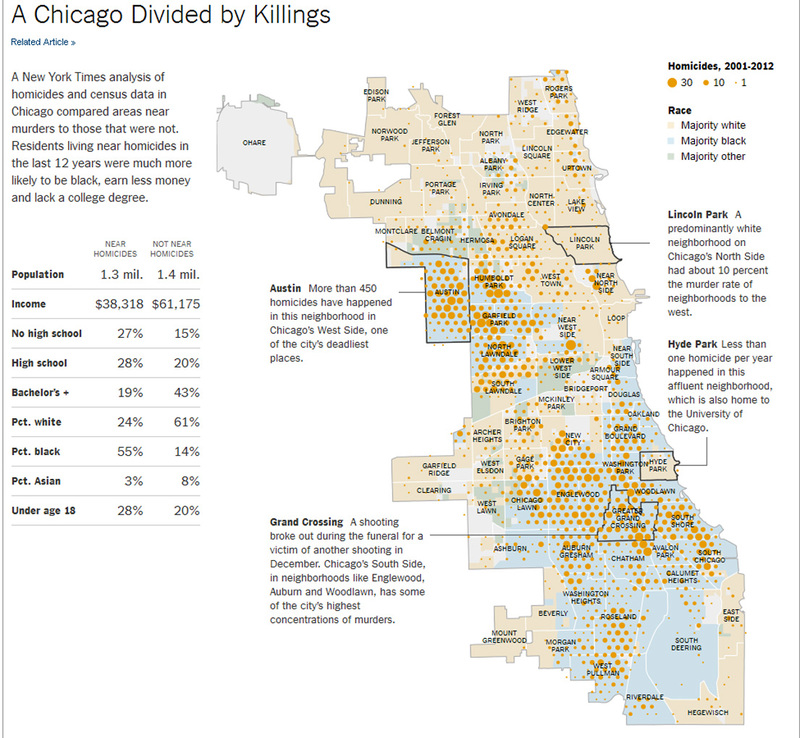 NYTimes maps murder sites in Chicago! 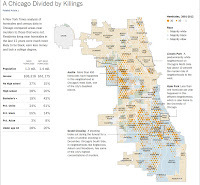 This graphic was part of a January 2, 2013 New York Times story about murder in Chicago. Does that make you feel good, fellow Chicagoans? 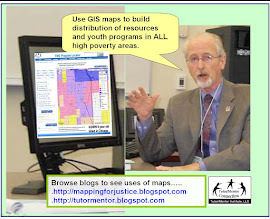 I encourage you to browse past articles on this blog to see maps created by the Tutor/Mentor Connection over the past few years. If you compare the maps showing murders with the maps showing poverty and poorly performing schools, there is a correlation. The maps I've created are part of a strategy. They are intended to show how community leaders, businesses, political leaders and others can support the growth of non-school tutoring, mentoring, arts, technology and jobs programs in high poverty neighborhoods. Such programs can combat offer alternative choices and support systems to youth in neighborhoods where often gangs are the only network available to youth. Maybe in a few years the NY Times and other metropolitan papers will be showing different maps, indicating the rich network of youth supports available in high poverty areas.